Going to the casino generally means a fun night out on the town and it’s a wonderful opportunity to clean up and feel great about yourself. As a guest, you’re expected to dress to a certain standard and it’s always imperative that you respect a casino’s dress code. While some casinos don’t have strict dress codes, it’s always advisable to check first and make sure you are dressed as required. Even if you are visiting a casino without a formal dress requirement, it’s polite and respectful to make an effort to look good. This rings particularly true for high-end establishments, where it’s likely that they will enforce some sort of strict clothing rules. Obviously, a wealthy casino in Vegas is going to have different standards to that of a dark, roadside slot store – but you’ll always be in good stead if you make an effort in the way that you dress. If you want to blend in and feel at ease with the crowd within a casino, then you’re going to want to keep on reading. We have prepared this etiquette guide on how to dress at a casino for people who aren’t sure what is entirely appropriate. White Tie: White tie is not all that common anymore, but it is the most formal of all the categories of attire. You are most likely going to encounter this at a private event like a dinner that is being hosted at a casino. Women are expected to wear floor-length evening gowns, accompanied by optional extras like gloves, tiaras and hairpieces. The white tie event gets a little more strict when it comes to men’s attire and they are expected to wear a black dress coat with matching trousers, white shirt with wing collars and a stiff front, shirt studs, cufflinks, a white vest, white bow tie, white/grey gloves and black patent leather shoes with black socks. 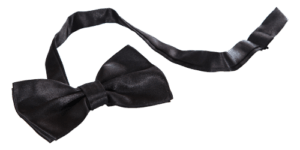 Black Tie: Black tie events are the most common of formal event wear that you are likely to come across in a normal casino. The rules for black tie have loosened over the last 20 or so years, but women are still expected to wear evening shoes and a smart evening dress. Men are expected to wear a white dress shirt, a black bow tie, a waistcoat, a black or dark blue dinner jacket and black shoes. Black Tie Optional: This is a common form of dress code when it comes to weddings and other formal events. Women are encouraged to wear cocktail dresses that aren’t too short or evening gowns. Men need to wear a white shirt and dark suit, a formal tie and dark leather/formal shoes. Semiformal: Semiformal is the standard of dress for most casinos and it is widely accepted as the norm. Women are expected to dress in formal cocktail dresses, skirts, or pants suits. While the men must wear dark business suits, formal ties and dark formal shoes that match their outfits. Casual: Many people misunderstand the category of casual, thinking it means they can come in shorts and a shirt. These are normally day-time events and women are encouraged to wear summer dresses or skirts, plain t-shirts and dress up jeans or pants. Men should wear khaki pants or formal jeans, plain t-shirts, button-down shirts and a pair of loafers or sneakers. While it’s important to dress up and look great when you are visiting a casino, this doesn’t always bode well for those who might be gambling. Our advice is to always make sure you are comfortable in the clothes you’re wearing, as you are going to be in them for a long time. For women, the biggest issue comes with dresses that are too tight or revealing, as these will have you adjusting your dress and feeling self-conscious all night. 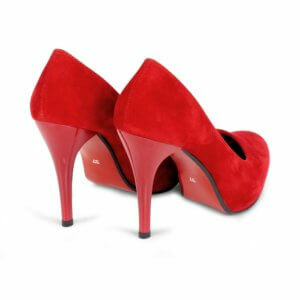 Secondly, don’t wear heels that you can’t tolerate – we know they look wonderful – but if your feet get sore during the night, you aren’t going to enjoy yourself. Men are encouraged to wear formal shoes, but if you are more comfortable in a pair of dark, smart looking loafers, then go for it. Make sure your jacket isn’t too tight and that you have plenty of pocket space for your phone and wallet while you are playing. While a casino might say that they are casual, it’s well known to frequent casino goers that if you are visiting after 6 in the evening that you need to put more effort into the way that you dress. At night, it’s generally accepted that players should be in semiformal attire and women are expected to wear cocktail dress or pants suits, and men should at the very least have a formal blazer for their attire. If you aren’t sure what the requirements are for a casino that you are visiting, our advice is always to go smarter than you think and to wear darker colours. Men are advised to wear dark jeans, a jacket and shoes – with a white shirt. Women should wear black or dark blue cocktail dresses, pants suits or separate pants and shirt that are formal. All in all, remember that for many people, going to the casino is a treat and something they probably don’t do often. It’s polite and respectful to dress up a bit and make it feel like more of an occasion than you might think it is. We hope that we’ve given you some idea on how to dress when going to the casino next time, most importantly though, you should feel good about yourself and the way that you look – this will ensure you have a wonderful evening out on the town. What do we Know About the Royal Family’s Gambling Habits?